You know that saying, “Your goose is cooked”? We’re advocating that it be updated to “Your turkey is cooked,” because when you ruin a perfectly cooked Thanksgiving turkey with some rookie carving mistakes, you’re in so much trouble. You can spend all year sharpening your roasting skills, but what happens after it’s out of the oven can make or break your meal. 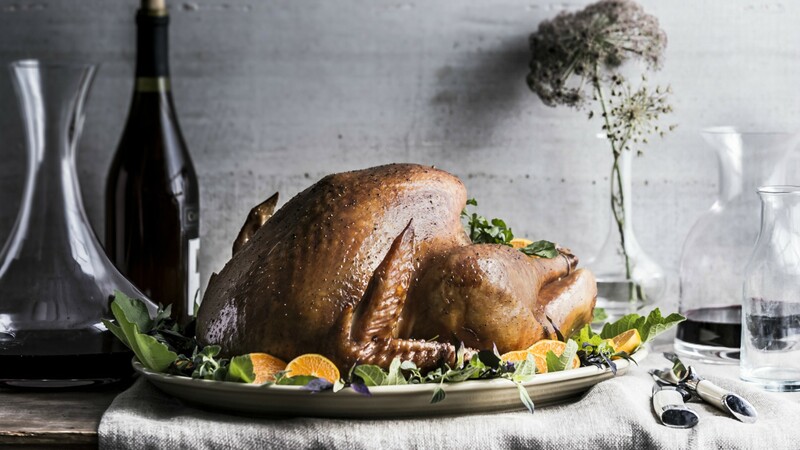 So put down the electric carving knife, and take a deep breath — these tips are everything you need to know to carve the perfect turkey. This step happens before you even put the bird in the oven. For even cooking, you should truss the bird — but don’t forget to snip the strings and remove them before carving. To avoid a dry turkey, you must let it rest when you take it out of the oven. Your bird should rest for at least 20 minutes before you start carving, but you can wait up to 40 minutes. If you want your perfectly crispy skin to stay that way, don’t tent your turkey as it rests. It won’t get cold in just 20 minutes, and even if it is less hot than you want it to be, that’s nothing a little warm gravy won’t fix. 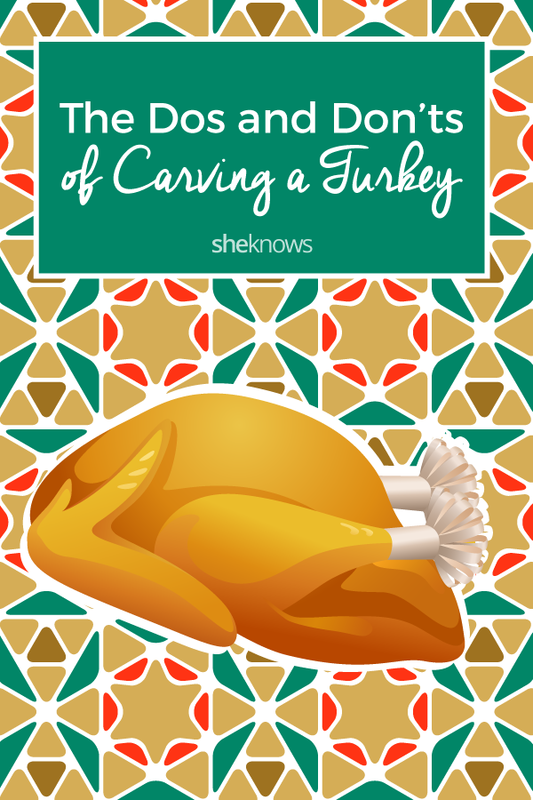 Carving your turkey on a platter is inconvenient and messy. It may seems like it puts on a show, but your impatient dinner guests would much rather have you do the dirty work in the kitchen. Move your turkey from the roasting pan to a carving board or cutting board. Carve the meat, then transfer it to a platter. It’s not just ineffective to use a less-than-sharp knife; it’s dangerous. A dull knife is more likely to slip and skid, and since you’ll be using more force to make it cut, you could hurt yourself when it inevitably slips. Make a slit between the turkey leg and the breast. Grip the leg, then gently pry it away from the breast until you hear or feel the joint pop out. Then take a knife, and cut through the joint. To remove the thigh from the leg, make a slit between them, then gently pry apart. If they don’t pull apart from each other, use your knife to cut through the joint (avoiding the bone). Cut through the skin at the top of the breast so you can get better access to the wishbone. Take your knife, make a slit along the wishbone, and then reach in and pull it out. This will make it a lot easier to remove the breast meat. When removing the breast meat, you want to use the breastbone as a guide. Glide your knife down one side of the breast meat, and then, with your knife, start prying it away from the bone. Pull the meat away from the breastbone with your hands, and then make a cut at the base of the breast meat, by the wing joint. When you slice your turkey (on a bias, please), make sure you use a really sharp knife, and keep some skin on each piece. Everyone wants a piece of the skin — after all, it’s the best part!